While we still have a long way to go, 2018 has been a tougher year than most for bond investors. A big move for bonds looks nothing like a big move for stocks, but even a couple percent decline feels worse for bonds because they are, after all, the less volatile part of a balanced portfolio. Spurred by January’s inflation scare and supported by the Federal Reserve’s continued progress on normalizing the overnight lending rate, the yield on the benchmark 10-year Treasury note recently hit its highest level since 2011. Rates across most maturities are meaningfully higher than where they started the year. Further, it is widely expected that the Federal Reserve will raise the overnight rate again at meetings June 12-13 and potentially again before the end of the year. The overnight lending rate could conceivably finish the year north of 2% – more than double where it began. 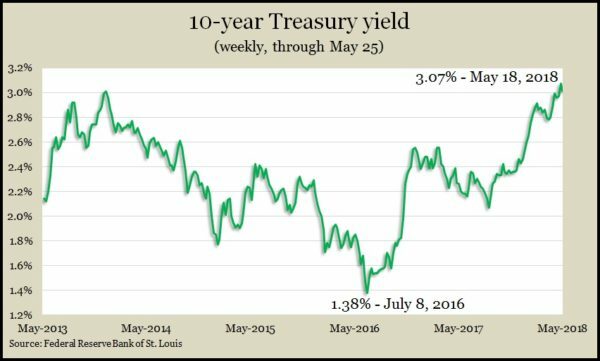 Unfortunately for bond investors, rising rates push down the price of existing bonds. However, it isn’t all bad news. For starters, most bonds have a par value and a set maturity date. That means that even if bond prices decline in the short term, as long as the bond is paid back, investors know what they’ll receive and when. So, we know that rising rates push bond prices lower, but a bond’s return also includes interest payments, which help offset price declines. Unfortunately, interest is paid on a regular schedule rather than all at once. When rates rise rapidly – as they did earlier this year – and then settle into a new normal, it can take many months for the interest component of a bond’s return to catch up to the decline in price. By keeping bond maturities short and being patient for interest payments to catch up, bond investors can minimize the net effect of rising rates on their bond returns. Bond prices have taken a hit so far in 2018, but rising rates also have created opportunities not available even a couple of years ago. For starters, investors are finally starting to see meaningful interest rates on money markets, certificates of deposit and other relatively safe equivalents. 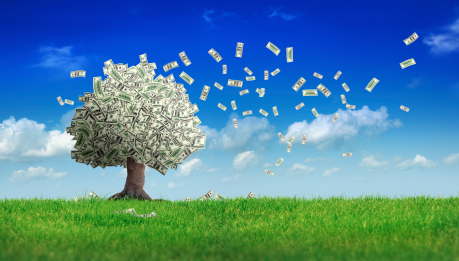 For very short-term money, investors no longer need to stretch to capture modest returns. Rising rates also create an opportunity as bonds mature out of portfolios. Investors can reinvest the proceeds from matured bonds into newly issued bonds with higher yields. That provides higher income in the years ahead and allows investors to more quickly overcome any price declines from rising rates. Shorter-term high-quality bonds mitigate many of the challenges presented by rising interest rates, but no single investment is a cure-all. Fortunately, a well-balanced portfolio contains options that can cope with a variety of market environments. Proper balance includes appropriate allocations to cash and equivalents to handle immediate liquidity needs but also a mix of stocks, bonds and other investments for longer-term sustainability. The good news for balanced investors is that rising rates tend to accompany a strengthening economic outlook. The Fed believes the economy can sustain modest growth without the benefit of easy money, and that tends to bode well for the stock portion of a balanced portfolio. With continued expectations for rising rates, especially the overnight lending rate, bond investors can expect further challenges. Fortunately, for those who can weather a little bit of price decline in the short term, the long-term benefits of higher rates are likely worth it.